This is the first post in a series which will deal with the expungement or sealing of criminal records in Peoria, Illinois. I feel that this is an important topic to write on as many people face a difficult road when they have a criminal record. Sealing or expunging that record can help to simplify one’s future. The goal of my upcoming posts is to provide information which assists people in understanding their options for dealing with a criminal record and to help them understand the benefits of doing so. Retaining an expungement attorney to help you with the process can help to ensure that your matter is handled correctly. My office is able to handle such matters for as low as $499 plus court costs. 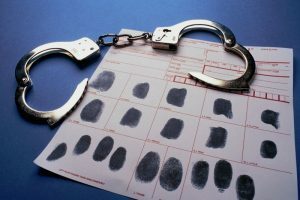 If you have a prior arrest record or criminal conviction then it is important that you understand these issues. First, expunging a record will make it as if the event never occurred for background check purposes. If you are not eligible for an expungement then you may still be able to seal your record. While sealing a record does not completely erase your past, it does make dealing with background checks much easier. Second, it is important to understand that not every record can be cleared. There are time frames and requirements which must be satisfied. Finally, successfully clearing a record requires that the proper process be followed and failing to follow this process can result in one’s request being denied. Hiring an attorney will help you make sure that the process is properly followed. In today’s economy people switch jobs much more often than they did in the past. Also, since the “Great Recession” it has been necessary for people to move multiple times. These are both situations which require one to submit to background checks. Having a criminal record can, therefore, make an already stressful situation all the more aggravating. It is strongly suggested that you contact counsel to learn more about your options. As a Peoria criminal records lawyer I assist Illinois residents in obtaining a sealing or expungement of their history. Contact my office today to schedule an initial consultation. I also service the cities of Bloomington, Eureka, Galesburg, Morton, Normal, Pekin, Springfield, and Washington, as well as the counties of Fulton, Knox, LaSalle, Marshall, Mason, McLean, Putnam, Rock Island, Schuyler, Stark, Tazewell, and Woodford.